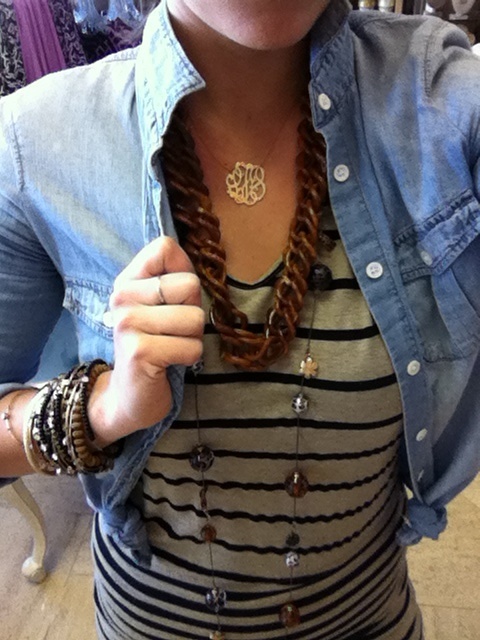 This outfit is focused on layers; both the outfit itself and multiple necklaces in varying lengths and textures. I used touches of bronze and brown to boost the black of the stripes in the maxi dress. I once again knotted the ends of this light denim chambray shirt to create an unconventional bolero jacket.